US published Haynes aftermarket workshop manual for all models of front-wheel-drive Mitsubishi Galant 4-door sedans from 1994 to 2010. VR4 models are not covered. Inside this manual you will find: Routine Maintenance, tune-up procedures, engine repair, cooling and heating, air-conditioning, fuel and exhaust, emissions control, ignition, brakes, suspension and steering, electrical systems and wiring diagrams. Haynes repair manuals can save you money on maintenance and repair bills. Step-by-step procedures and illustrations guide you through every job, from basic maintenance and troubleshooting, to complete teardown & rebuild. 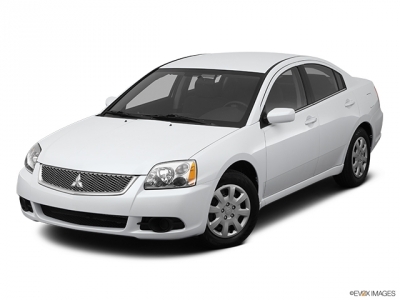 The Mitsubishi Galant is unquestionably an automobile manufactured by Mitsubishi Motors since 1969. The name was derived away from the French word galant, meaning "chivalrous". There was nine distinct generations, and cumulative sales now exceed five million. It began just like a compact sedan, but during its life has evolved proper into a larger mid-size car. Initial production was based only in Japan, but since 1994 the American market has now been served by vehicles assembled inside of the former Diamond-Star Motors (DSM) facility in Normal, Illinois. In Japan, it was eventually sold going at a specific retail chain called Galant Shop. The eighth-generation 1996 model continued the 1992 design themes but a station wagon (known in Japan given that the Mitsubishi Legnum) was added while the liftback was taken away from lineup. This model won the 1996-97 Car of the season Japan award. Despite being superseded in the united states from 2003, it remained on sale in other countries until 2006. In Japan, the Legnum was sold only at a specific retail chain called Car Plaza. This model had also been produced in Barcelona, Venezuela, while in the only Mitsubishi plant in Latin America. 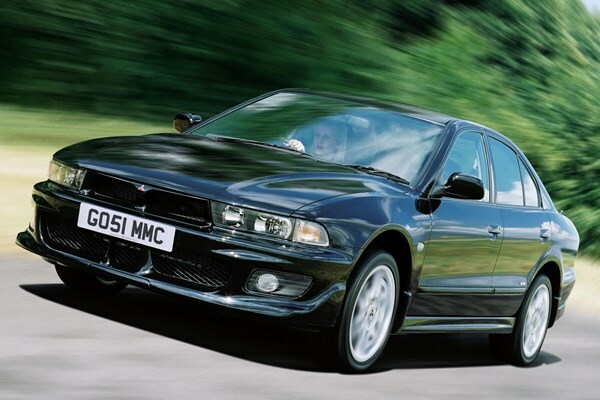 In the beginning, the Galant was marketed in that country inside the given MX and MF names in 1997 and 1998 (Featuring a manual or INVECS-II semi-automatic transmission respectively), then kept the Galant name until the end of its production in 2006. Although the equipment options were limited, the VR-4 appearance package was offered in that market. The American market Galant, introduced on July 7, 1998, graduated in direction of the US Environmental Protection Agency? 's mid-size class. The front suspension switched from double-wishbones to struts, though the rear was upgraded who has a stabilizer bar standard on all even so the base DE model. ES, LS and GTZ models were offered by way of a 195 hp (145 kW) V6 engine, the 6G72 3.0 L, mated to find a standard 4-speed conventional auto. Another difference from Asian and European models was lack of ABS, that led to only set up on 3.0 L model. Mitsubishi opted to help expand develop the technology in its range-topping VR-4, which has been now powered by an enlarged 2.5 L V6 twin turbo. The actual vehicle featured either a conventional 5-speed manual or INVECS-II transmission. Some models were also fitted with the exact same advanced active yaw control (AYC) mainly because the Lancer Evolution, provide you with it greater agility than would be expected of this sort of large vehicle. Finally, in regards to other range, the VR-4 could now be had either when you're a Galant sedan or to be a Legnum station wagon. 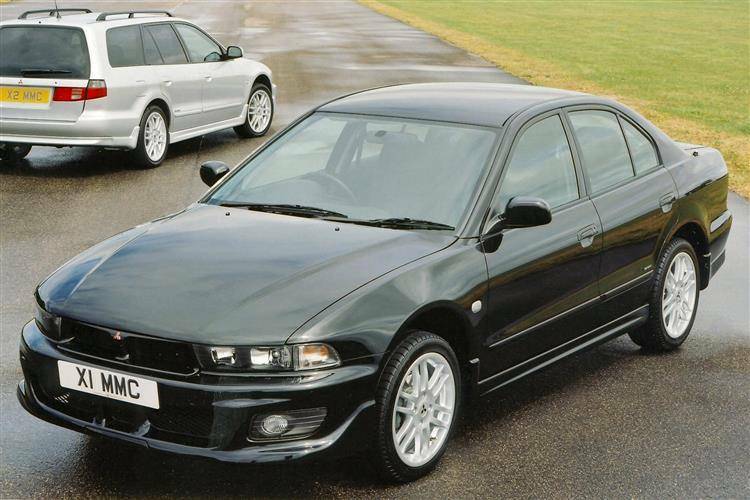 A number of Asian markets Mitsubishi offered a 2.0 L MIVEC version in regards to the 6A12a high revving naturally aspirated V6 race engine by way of a sports ECU engine management module, badged given that the "Galant 2.0A", or alternately as being the VR-M. This engine was also found on Mitsubishi's mid size sports car FTO-GPX. Output was placed at 200 hp (150 kW) and 147 lb·ft (199 N·m) of torque. The larger 2.5 L 6A13 was more common from inside the other world. In 1998 the business enterprise introduced the Mitsubishi Aspire. Externally the same as the regular Galant, the fresh new model name denoted the newly-introduced gasoline direct injection (GDI) engines. Usa has had the sedan-only ninth-generation PS platform model since October 15, 2003. He did this announced together with the 2003 The Big Apple International Auto Show During month of April used for the 2004 model year, as soon as the exhibition while using the SSS concept sedan along at the North American International Auto Show a couple of years before. The ninth-generation United States-sourced model is available that you can buy only in certain regional markets, namely the usa, Puerto Rico, Russia, Ukraine and Arabia. Russia began sourcing its Galants originating from a United States from 2006. The Arabian markets began sourcing their Galants originating from a United States Of America away from the 2007 model year. The Galant had also been for sale in Canada and Mexico until the 2010 and 2009 model years, respectively. A size increase resulted in slightly more interior space and a putting on weight of a couple of hundred pounds. The 4-cylinder engine, while still 2.4 liters in displacement, upgraded from Mitsubishi's 4G64 design all the way to newer 4G69 design, creating horsepower increase from 140 to 160. Likewise, the V6 jumped due to a 3.0-liter with 190 hp (140 kW) to a wonderful 3.8 with 235. All North American Galants gained 4-wheel disc brakes but lost their rear stabilizer bar. A Ralliart version joined for 2007, finally upgrading the V6 as opposed to a class-competitive 258 horsepower (192 kW) while also adding a firmer suspension, front strut tower bar, rear stabilizer bar, and 18-inch (460 mm) alloy wheels. For 2008, the trimming of models left the Ralliart with regards to only V6 model, in addition the Galant skips the 2008 model year in Canada, in order to return just last year to make the facelifted model. 2006 The Galant receives some cosmetic changes, which can include an AC adapter, along with a standard MP3 jack, and upgrades in direction of the interior. 2007 In 2007, the Galant was restyled, making use of Nissan AWD system replaced along with a Chrysler AWD device. This included an interior upgrade, that has a navigation, audio system, and updates all the way to interior.